Where to Buy Micrel Total, Micrel Total 5-0-0 Liquid Micronutrient Package - 2.5 - 30 Gal - $109.95 for Sale with Fast Free Shipping! 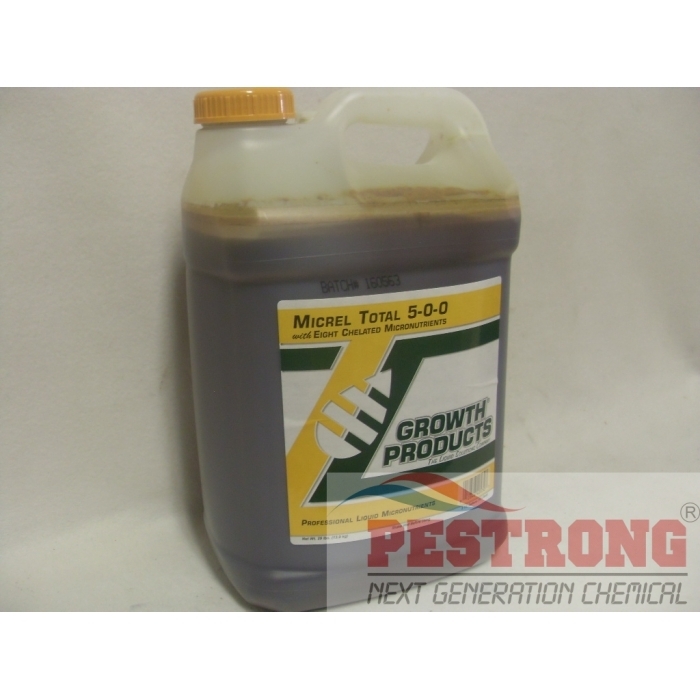 Micrel Total 5-0-0 Liquid Micronutrient Package - 2.5 - 30 Gal is a true solution containing eight chelated micronutrients used to correct deficiencies (chlorosis) in turf, trees, ornamentals and bedding plants. By buying this product & leave product review you can collect normally 128 reward points as a voucher of $12.80(1%). Micrel Total is completely miscible in water. The unique citrate / nitrogen chelate bond eliminates any flush growth or budding. All nutrients are available either by foliar or root feeding, and can be applied throughout the growing season with no concern of phytotoxicity. Micrel Total aids in resistance to disease, winter desiccation and tolerance to stress. Derived From: Ferrous Sulfate, Manganese Sulfate, Copper Sulfate, Zinc Sulfate, Magnesium Sulfate, Sodium Borate, Sodium Molybdate, Urea. Chelating Agent: Citric Acid. I have been using this throughout the year, and I must say, it does a perfectly good job of nourishing all of my plants. My plants looked healthier than normal. I say this product has done its job magnificently.